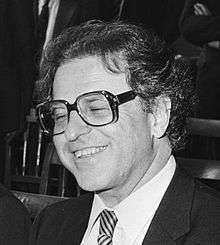 Charles Weissmann (born 14 October 1931) is a Hungarian-born Swiss molecular biologist. Weissmann is particularly known for the first cloning and expression of interferon and his contributions to the unraveling of the molecular genetics of neurogenerative prion diseases such as scrapie, Creutzfeldt–Jakob disease and "mad cow disease". Weissmann went to University of Zurich and obtained his MD in 1956 and Ph. D. in Organic Chemistry in 1961. In 1978, Weissmann co-founded the biotech company Biogen in Geneva. Biogen is considered one of the pioneers of the biotechnology industries. Weissmann was director of the Institute for Molecular Biology in Zurich, President of the Roche Research Foundation and co-founder and Member of the Scientific Council of Biogen. He is currently Chairman of the Department of Infectology, Scripps Florida. Weissmann won several awards, including the Otto Warburg Medal (1980) and the Scheele Award (1982). A member of the American Society of Biological Chemistry and the Deutsche Akademie der Naturforscher Leopoldina he is also a Foreign Associate of the U.S. National Academy of Sciences, the Royal Society (UK) and the Pour le Mérite (Germany). On May 16, 2011 Weissmann became Doctor of Science Honoris Causa at New York University.